Prothane 19-901-BL - Shock Mount Bushings A .860"
Energy Suspension shock eye bushings give your shocks a stronger, more consistent way to attach to your vehicle. Rubber bushings deflect and distort making it harder for your shock to perform properly. 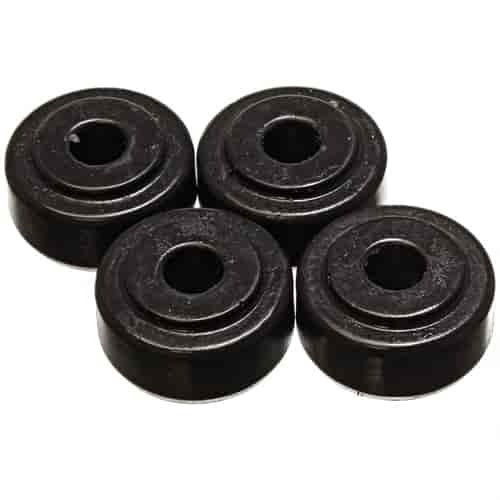 These bushings are constructed from high performance polyurethane, providing stiffer and longer lasting performance than rubber bushings. They are easy to install, providing a quick and simple handling upgrade for your vehicle.